I was looking for a company that provided my college's name and seal on the matting or the frame. Your company was the first that I came across on the web. I liked the variety I could choose from: with tassel, pennant, campus picture, or just the diploma. I received excellent product, excellent service and excellent quality. At Church Hill Classics, we are committed to providing you with the best possible customer experience to display and protect your diploma, certificate, or other special award. 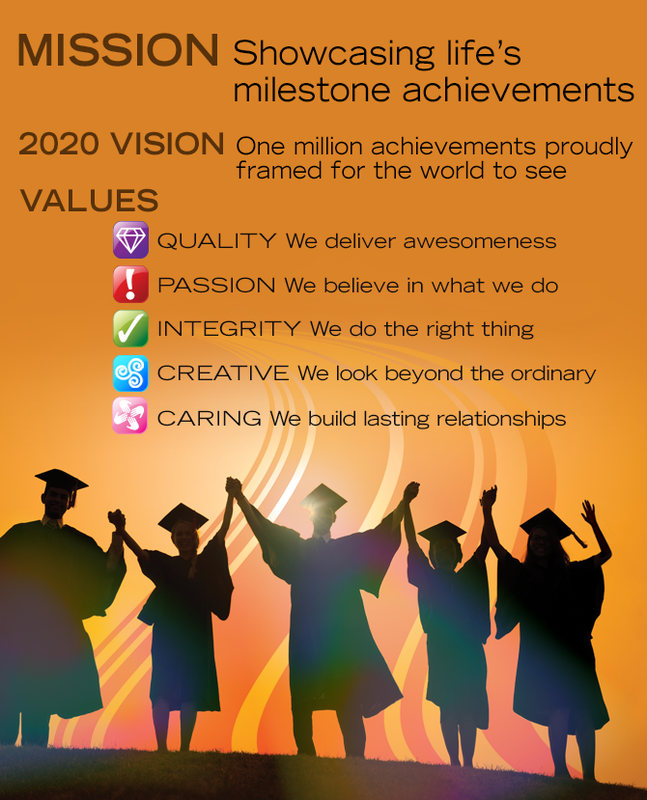 Our mission to showcase life’s milestone achievements is realized every day, by dedicated employees who demonstrate our core values of passion and integrity. Together, we strive to attain our vision of framing one million achievements by the year 2020, while continuing to deliver superior quality product to our customers, as we have done for more than 25 years. Lucie Voves, President of Church Hill Classics, explains why it's important to showcase your credentials!